iStreamLite is known to be an advertising-supported application even though it says that it is a useful program that can “download streaming videos directly to your desktop.” Generally speaking, this program is going to show advertisements only. Well, the research has shown that iStreamLite will sometimes work as it promises, i.e. it will download videos for you; however, this will happen very rarely because iStreamLite does not work at all in most cases. In our opinion, there is no point in keeping basically useless program that only shows annoying advertisements on the system. In order to help you to eliminate iStreamLite from the system as soon as possible, we have prepared the manual removal instructions and kindly shared them with you. Read through this article before you use them. Many users consider why they have to remove iStreamLite so quickly. Actually, the answer is simple – the longer you keep this advertising-supported application on board, the quicker you might allow a bunch of undesirable programs to enter your system. iStreamLite will also keep tracking you day after day. It will also record information about you in order to be able to provide you with interesting advertisements. It says that it never touches personal information and is only going to record your IP address, Browser, OS, and other technical details. It seems that it will also record details about your browsing habits, including search queries, the content you access on different web pages, and the like. If you do not like how iStreamLite acts and have not found it useful, you should delete iStreamLite without further consideration. We suggest doing that as soon as possible because we know that this will help you to reduce the possibility of encountering malicious software. If iStreamLite ever slithers onto your computer, you might notice extensions on all your browsers, including Internet Explorer, Google Chrome, and Mozilla Firefox. These extensions do not necessarily belong to iStreamLite because this program comes together with other undesirable applications that might have extensions too. Of course, these untrustworthy programs have to be removed from the system as soon as possible. You can find out easily whether other undesirable programs are installed on the system by scanning it with the diagnostic scanner. Scroll down, locate the Download button, and click on it in order to download the scanner. There is no doubt that iStreamLite will inject contextual advertisements on different web pages day after day. Luckily, you can stop this from happening by erasing iStreamLite from the system. 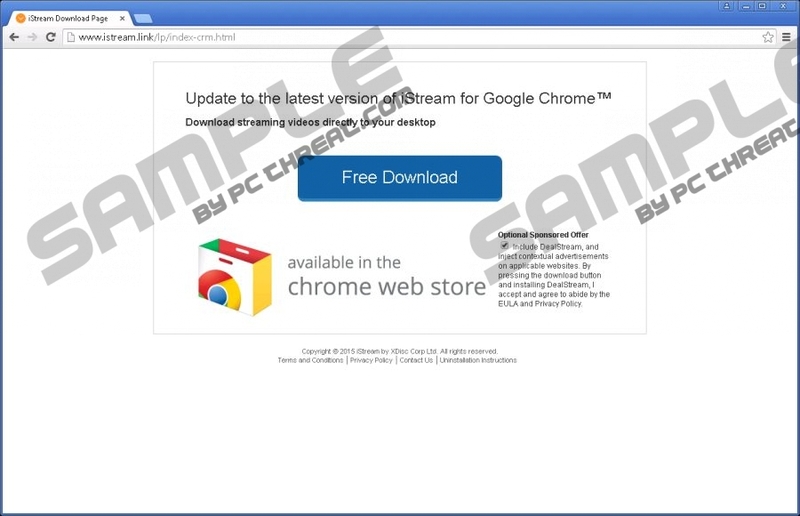 Do not forget that it is also very important to take care of the programs that have slithered onto your PC together with this adware. As it will not be easy to do that, we suggest scanning the system with SpyHunter – it will remove all the existing infections at once. If you are still eager to eliminate iStreamLite manually, use our manual removal instructions which you will find below this article; however, do not forget that they will not help you to erase other kinds of infections. Tap the Window key + R and then enter Control Panel in the box. Click OK.
Quick & tested solution for iStreamLite removal.